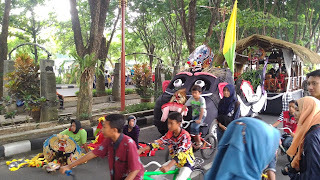 Wildlife Greetings! Once in a while ngepost entertainment, the people and the Party event Cultural Parade in the city itself is certainly an Sidoarjo district in East Java province. 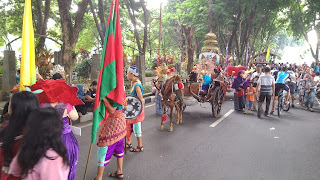 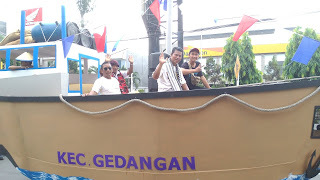 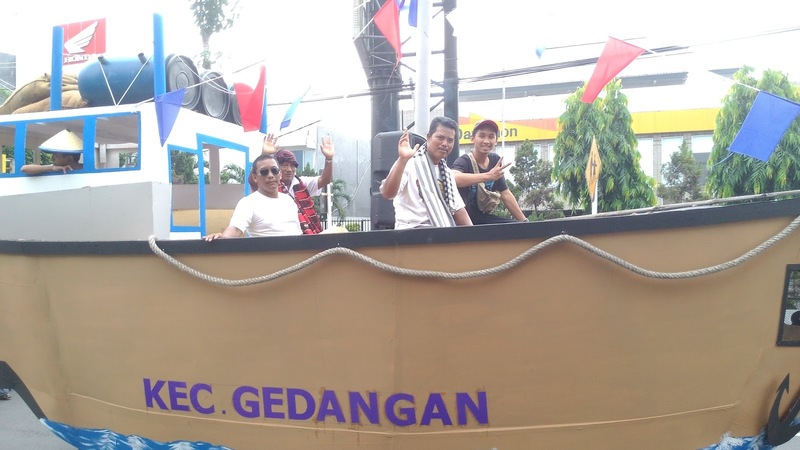 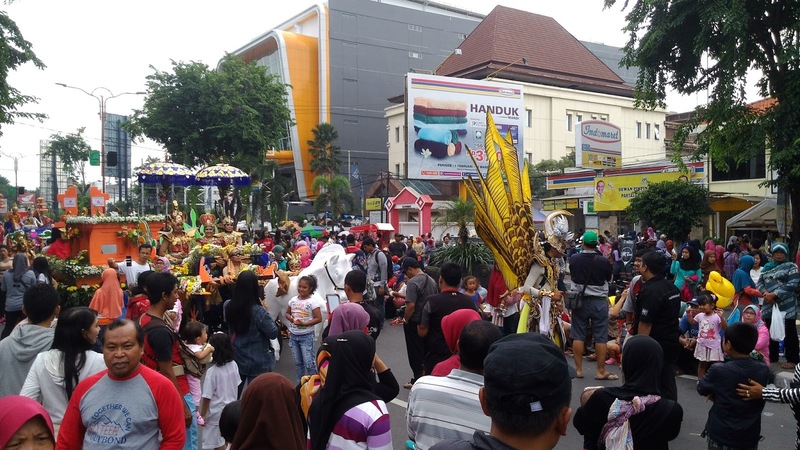 This event was organized in order to enliven the anniversary of Sidoarjo regency, the implementation of this folk festival combined with a cultural parade, which was held Sunday, February 21, 2016 .... Yup true today! Time of this post published. 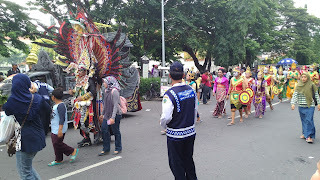 Cultural parade is the actualization of the Regional Cultural followed by all SKPD, Navy, Bank Jatim, enterprises that exist in Sidoarjo, and the general public with the aim to explore the potential that exists in all areas in Sidoarjo, including districts, sub-districts and villages , each team tried to portray a unique, beautiful and the best. 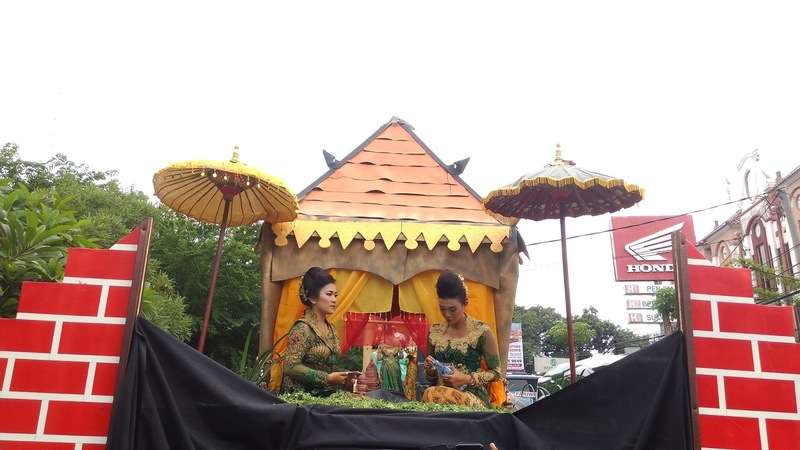 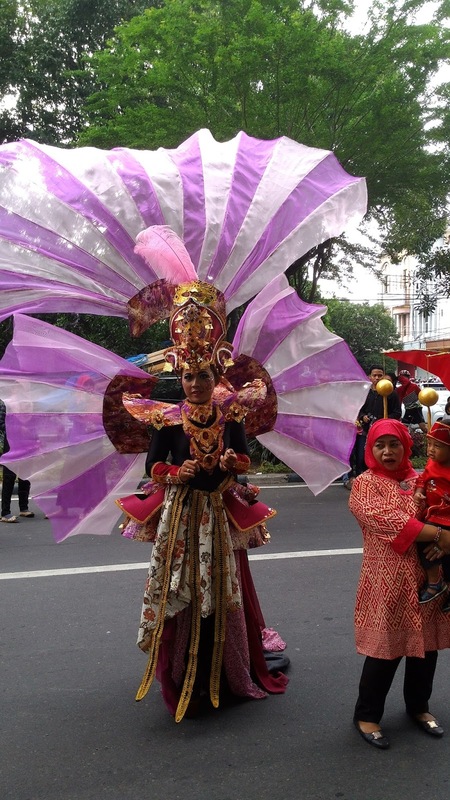 For example showing the shape empire that ever existed in Sidoarjo, Janggala, royal form is displayed in the form of typical dances and the king and queen. 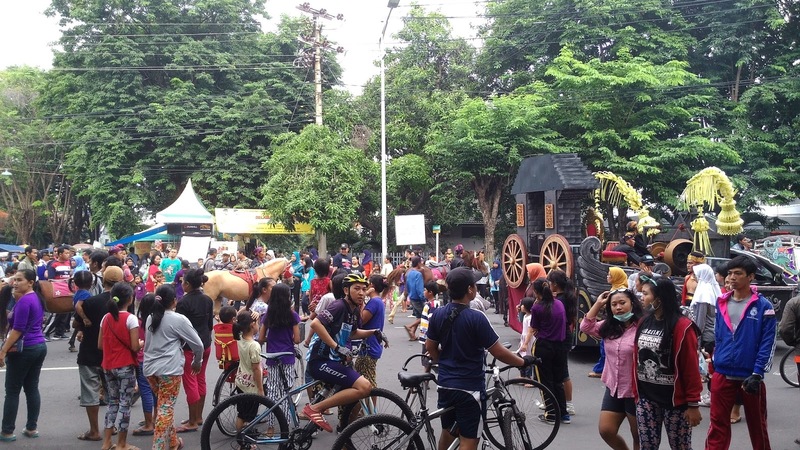 Previously, this event has been held four times and involving approximately 7,750 people in 2015. 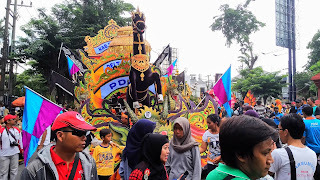 The parade this year themed Sidoarjo Exotic Carnival, the parade started early morning at around 08:00 pm, on the Square is Sidoarjo start and finish in front of GOR Delta Sidoarjo, where party of the people in place. 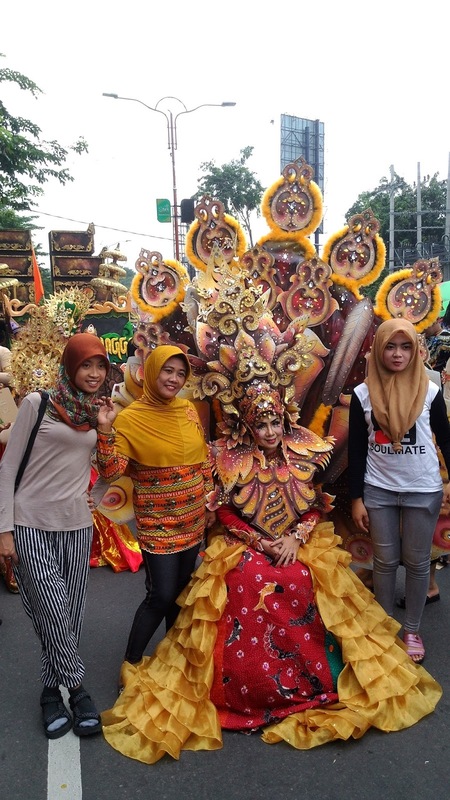 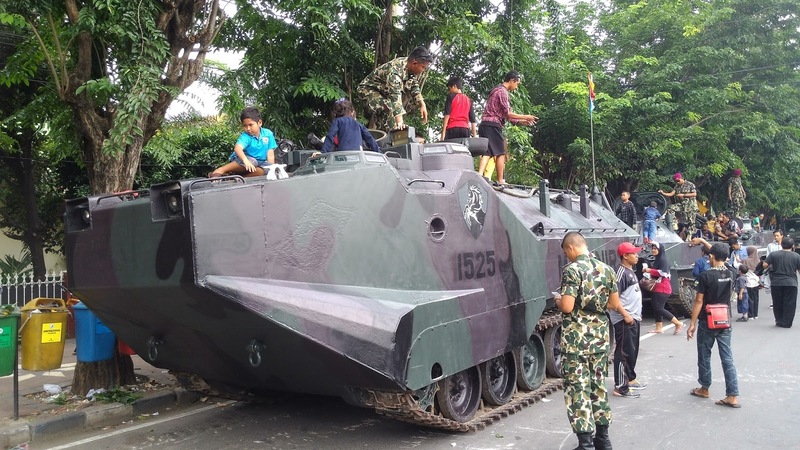 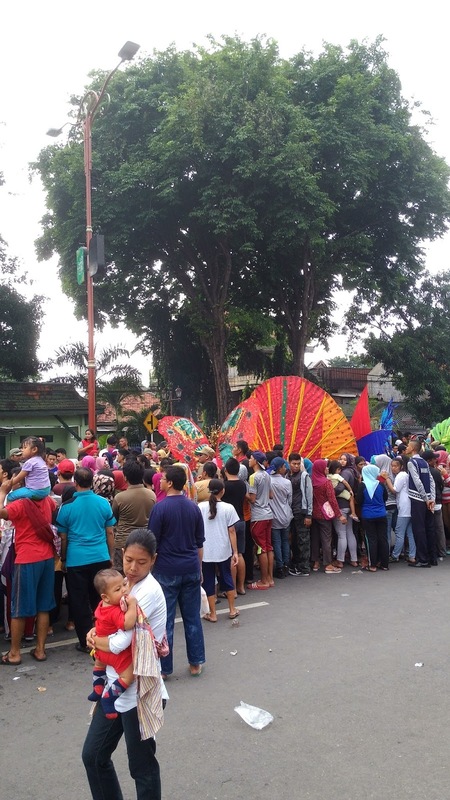 Each team marches of at least 30 people, the parade is also assessed and requires creativity of the participants if ever see Jember fashion carnival costumes nah hampirada similar-similar. 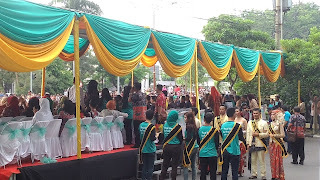 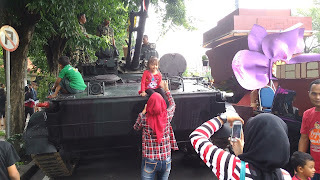 The event started with the marching band of children, children's fashion show, followed by tasters two songs and dances walang stinky after that the Regent opened the parade by hitting the gong. 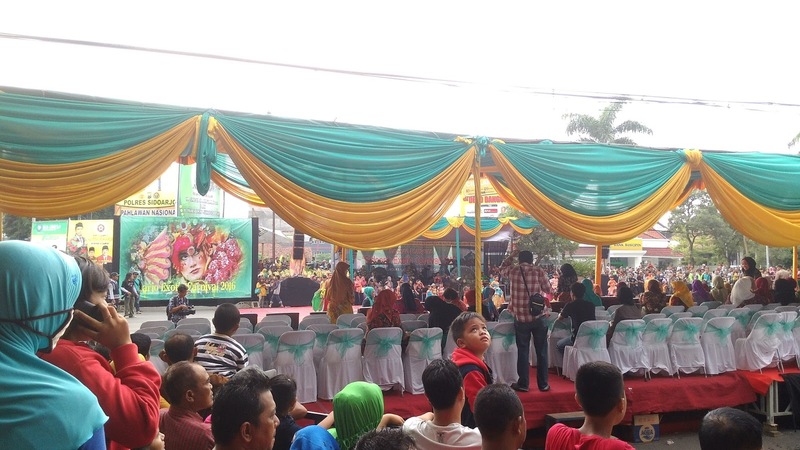 Previously, this event has been held four times and involving approximately 7,750 people in 2015. The parade this year themed Sidoarjo Exotic Carnival, the parade started early morning at around 08:00 pm, on the Square is Sidoarjo start and finish in front of GOR Delta Sidoarjo, where party of the people in place. 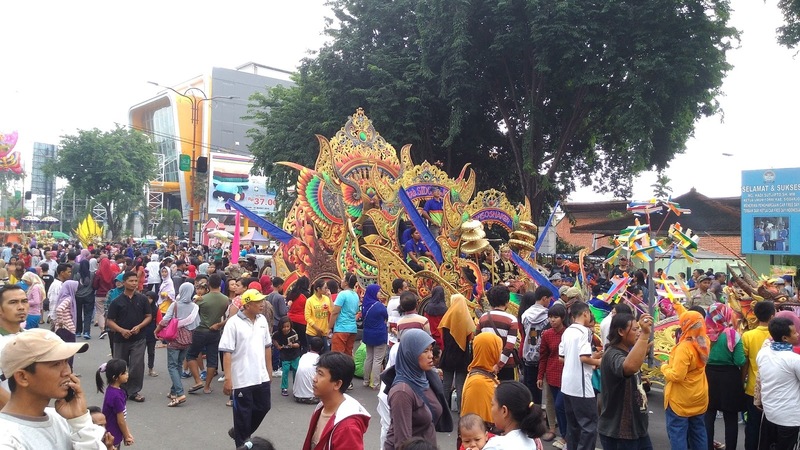 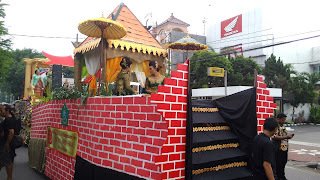 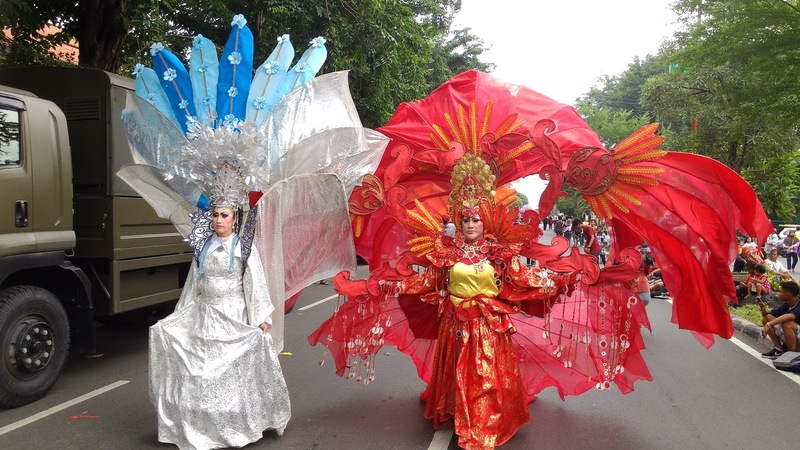 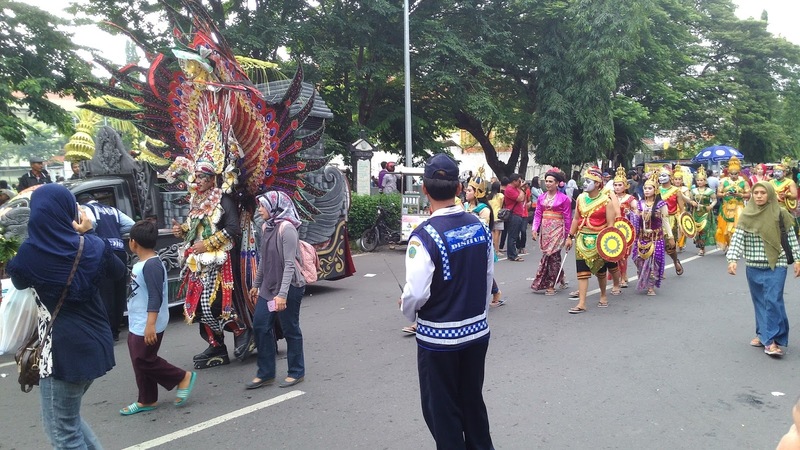 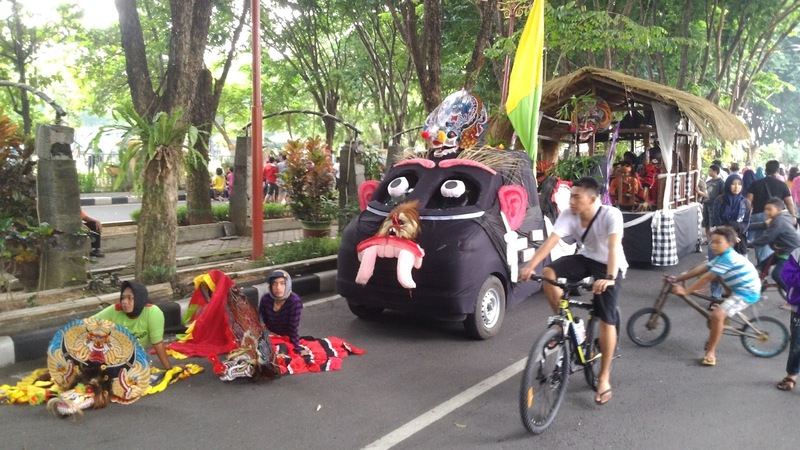 Each team marches of at least 30 people, the parade is also assessed and requires creativity of the participants if ever see Jember fashion carnival costumes are nearly similar-similar. 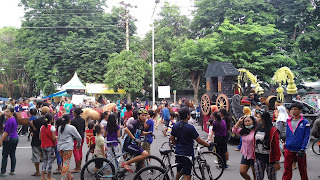 The event started with the marching band of children, children's fashion show, followed by tasters two songs and dances walang stinky after that the Regent opened the parade by hitting the gong. 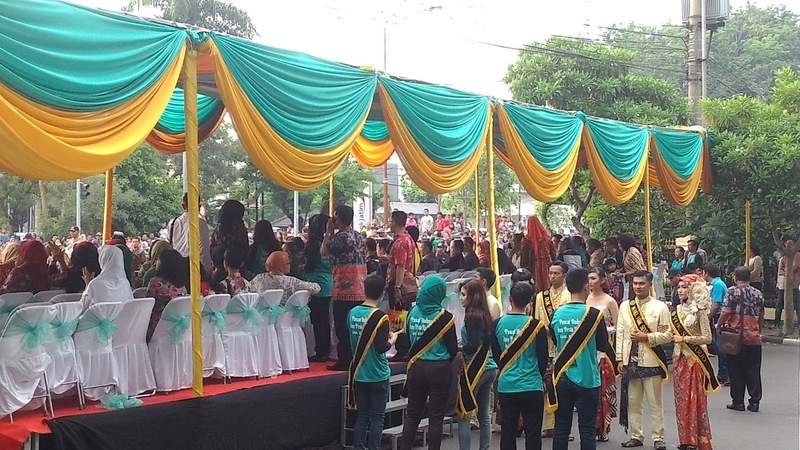 People party itself is a typical activity Sidoarjo eat free food such as cake and ice kupang degan, cecek rice cake, soup, meatballs, etc. 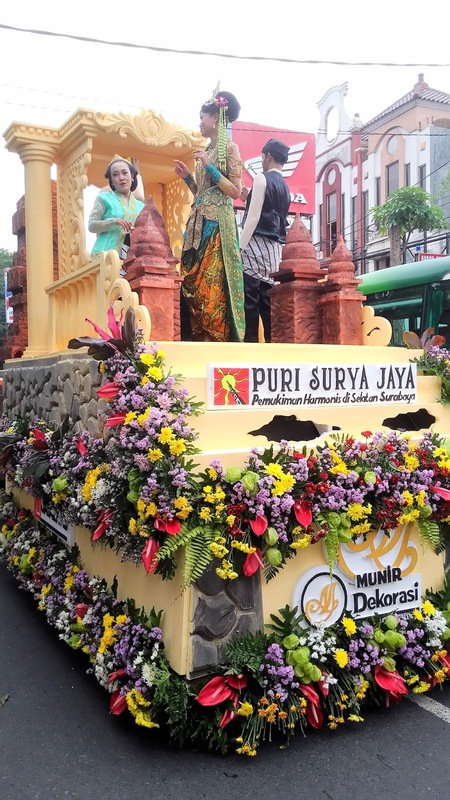 Citizens are also entertained by the orchestra by featuring artists from Sidoarjo, which is placed on the complex GOR Delta Sidoarjo, of course after completion cultural parade. 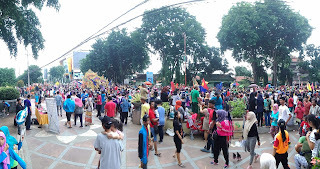 Usually starts at 2 PM. 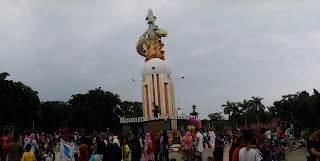 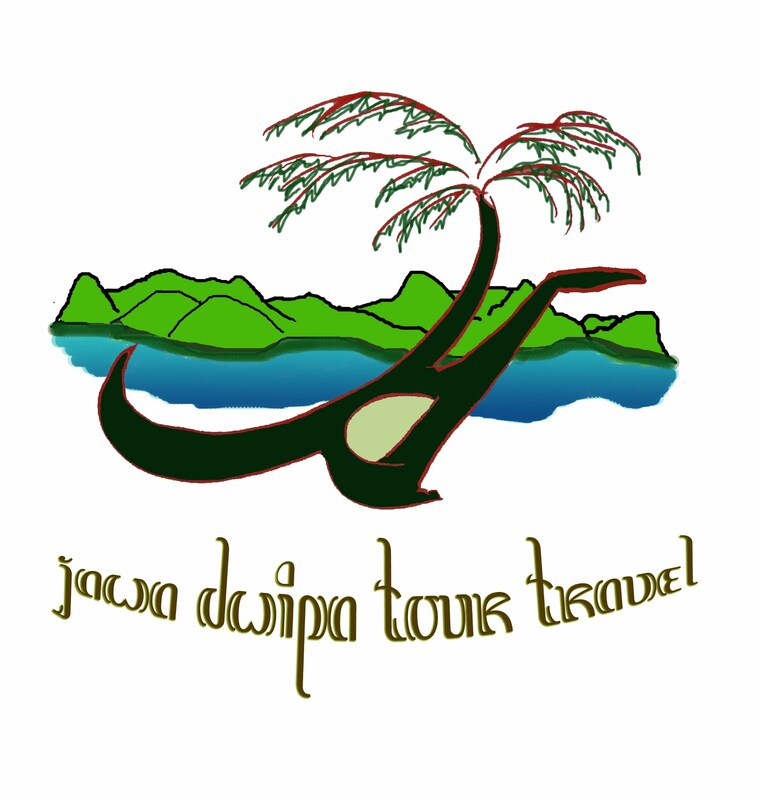 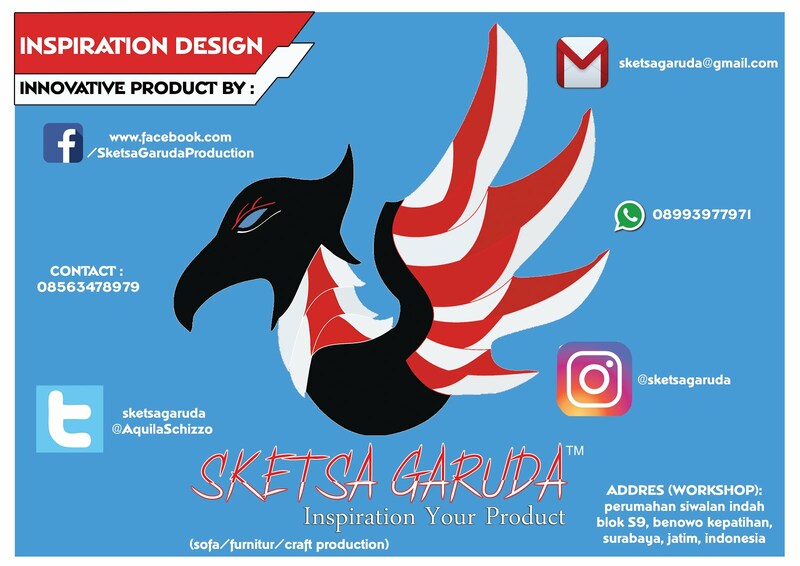 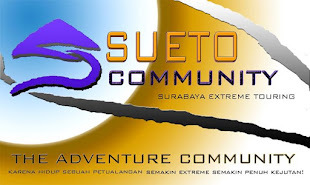 So monggo who do not know and near Sidoarjo area could come to a very festive event, because this event once a year cultural festival that lo..Makanangratisnya not to run jiahhahahaha lo ..